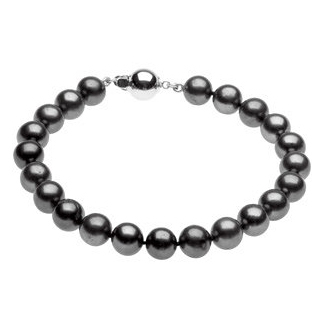 22 beautifully polished, black cultured pearls line up to make this genuine versatile and simplified style pearl bracelet with .925 sterling silver ball clasp. Each pearl measures an average of 8mm-9mm in size. Bracelet length measures 7.75 inches. Add a matching 42" inch pearl matching necklace (optional) to create a gorgeous pearl set. 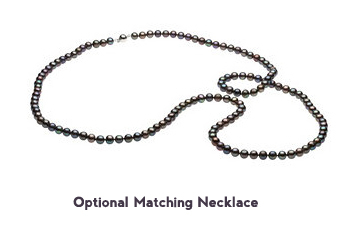 Optional matching pearl necklaces includes 134 cultured black pearls! 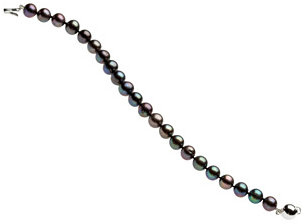 We guarantee our Freshwater Cultured Black Pearl Bracelet to be high quality, authentic jewelry, as described above.